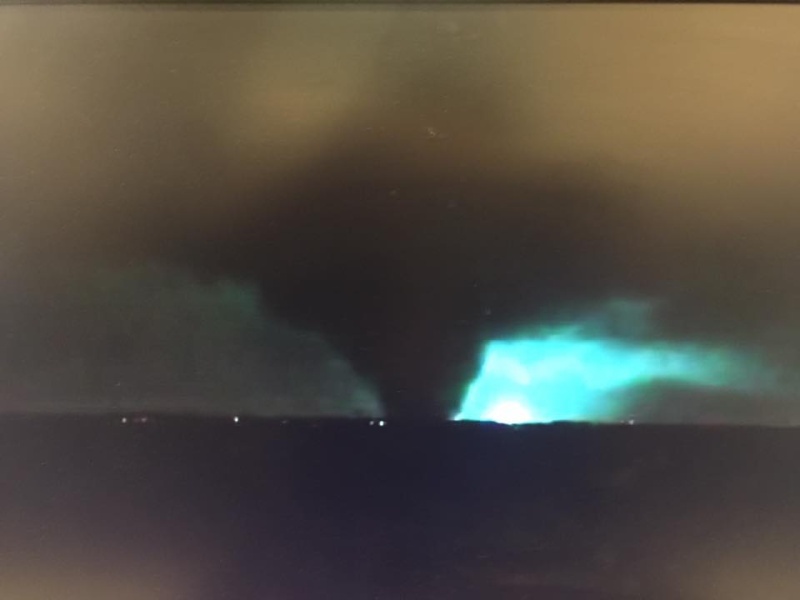 Tornado tonight in my little town of Rowlett. 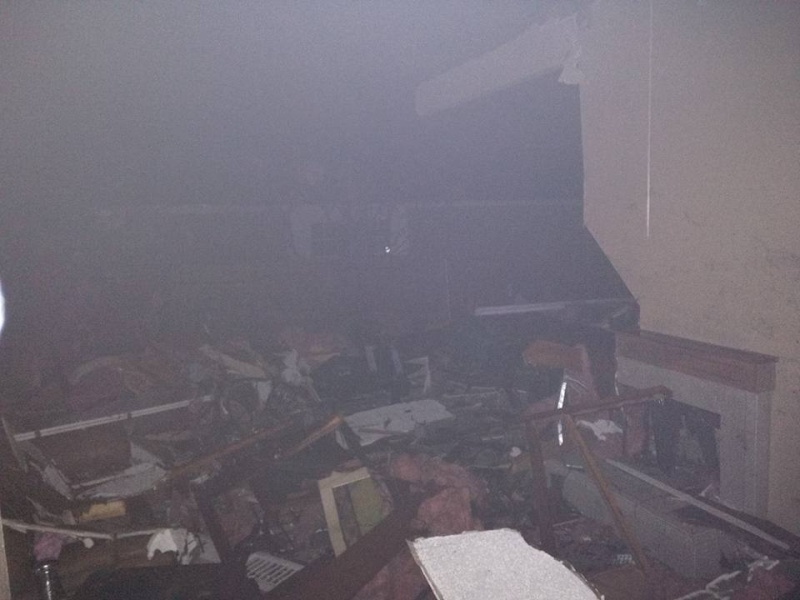 2 of my friends have major house damage and had to leave their homes tonight. Another lost his home, it's gone completely. My aunt who's on a respirator has no power. My childhood friend said an entire apartment complex is gone and she saw bodies everywhere. "SOANDSO has damage to his home off Zion road. We tried bringing tarps but everything is shut down. Total devastation..looks like a war zone! So very sad!! We saw cars, trucks turned over in the middle of the highwway, debris everywhere, light post completely snapped over...so devastating!" I hid in the bathroom with my cats, my husband was in the middle of cooking dinner and joined us a short time after the sirens went off. My home and neighborhood are okay but a lot aren't. Hard to enjoy our PS4 when our family friend has no home today. Im not sure where this photo was taken but it's on top of my city, blocks from me tearing up my friends houses. That's lightning that is lighting up the Tornado. It hit when it was dark. This is what is/was my friends living room. You can see across the street .........He has two twin boys who are very young. Feel horrible for them. I was supposed to drive to Vernon TX today but couldn't cause of the bad weather outbreak. you see, here we had tornado's, at my daddy's house he has a winter ice storm. The weather is as bipolar in Texas as I feel reading my FB news feed. Half of it is Tornado devastation from Friends and the rest is all Christmas happiness. The police and our Mayor told us to stay in and off the streets for emergency people but tomorrow Im volunteering to help clean up the debris everywhere. I guess I am posting this cause I had a wonderful Christmas and I am happy in my life and love my little city, and a Tornado destroying your friends homes can put this in perspective. Stay safe, say I love you to those you hold dear and be thankful. Life is a gift and it is precious. Happy Holidays, Merry Christmas and Happy New Year. Thank you Pete. This is where I live. It makes me sad when I have to leave my house. I had to go out for work today. Then I had to drive to Garland, which was also hit,... it's worse seeing it all with your own eyes. Leaves a hole in your heart to see your community in rubble. 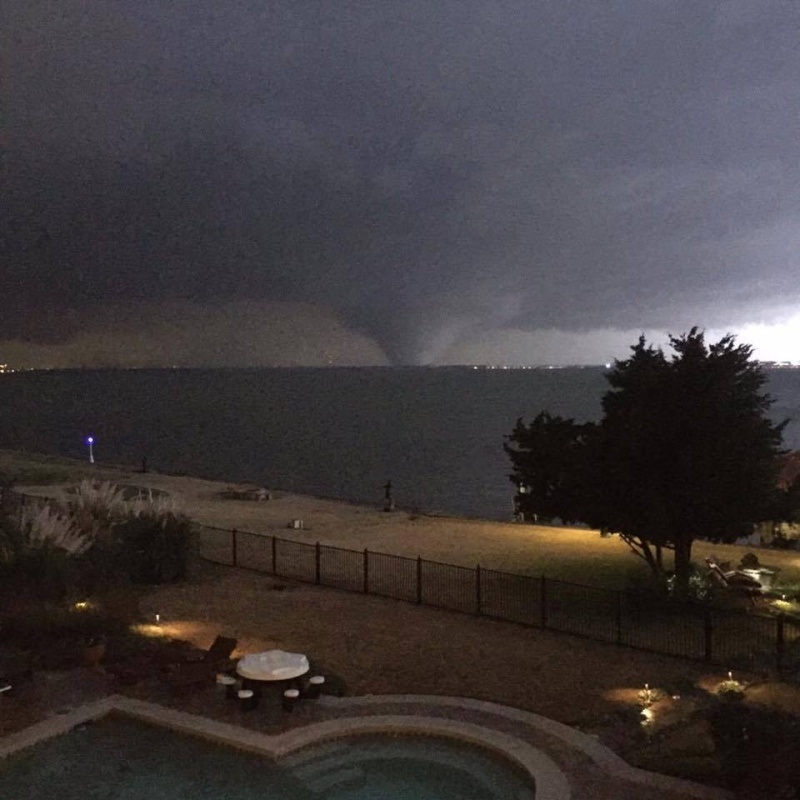 "A little over 48 hours ago Rowlett received a direct hit from an EF-4 tornado. The tornado ripped a path approximately ½ mile wide and about 4 miles in length. The strength and path of the tornado caused widespread damage. To date, we have about 1000 homes impacted by the storm. Out of the 1000 homes, we have 150 homes completely destroyed, 200 homes with major non-repairable damage and many more with significant damage. Additionally, we have about 30+ businesses that received significant damage and many more with minor damage. Atmos Energy believes that all the gas leaks have been safely shut off at this time. Oncor is telling us that we still have about 2900 customers without power this evening." I have seen posts in my FB group about armed rotating neighborhood watches, because of looters.